I remembered when it was available for pre-order on Farfetch a few months ago, it went for about 900$ which I kick myself in the leg for - for not snatching it up then. It now retails for 1,390 at Saks, or pre-order at Barneys so I highly suggest checking it out before it goes out of stock when it releases for the fall. 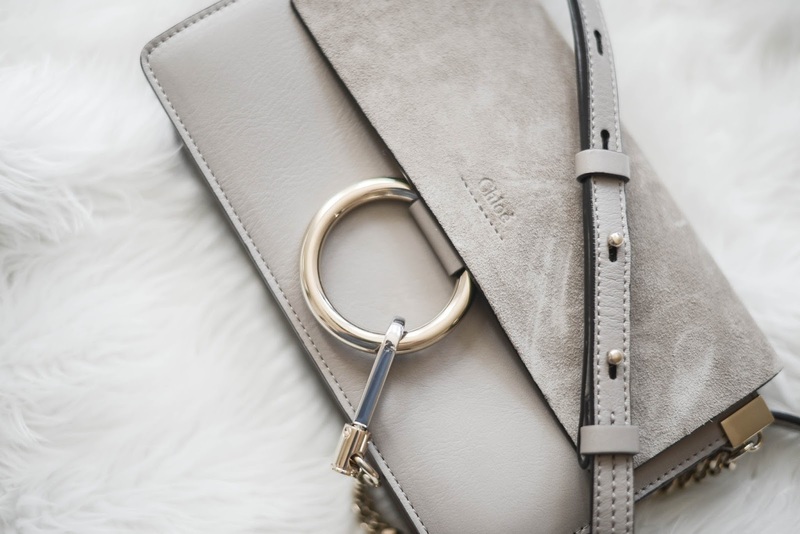 For this post, I’m mostly going to be talking about what I like and do not like about the bag, since you can find general information on this bag everywhere else online. I hope this will answer some of your concerns about the bag if you’re looking to #treatyourself. 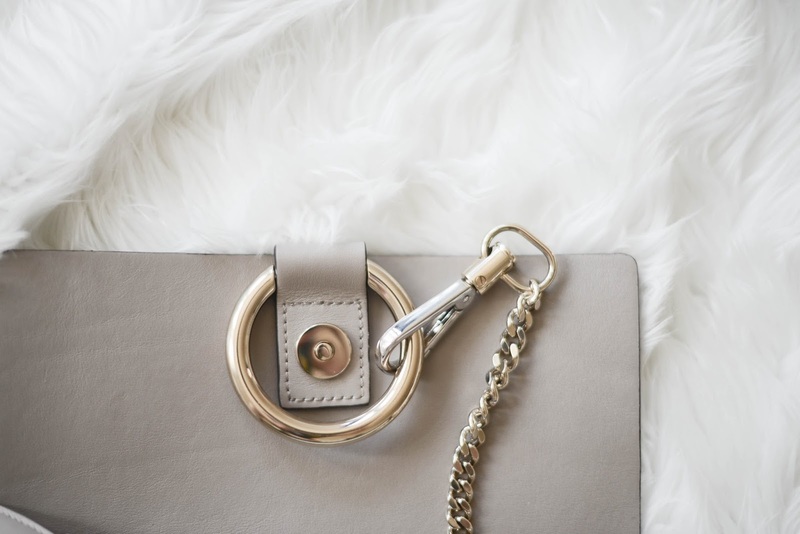 For many people, what’s special about the Chloe Faye is the ring chain flap in the front. Although it looks beautiful, I find it extremely annoying to open and close the bag (but for it’s unique look, that’s totally something I can live with). When it comes to bag, I prefer them with less compartments but I didn’t mind that the small Faye had 3. Since the middle compartment is the biggest, it will probably be the one I use most. 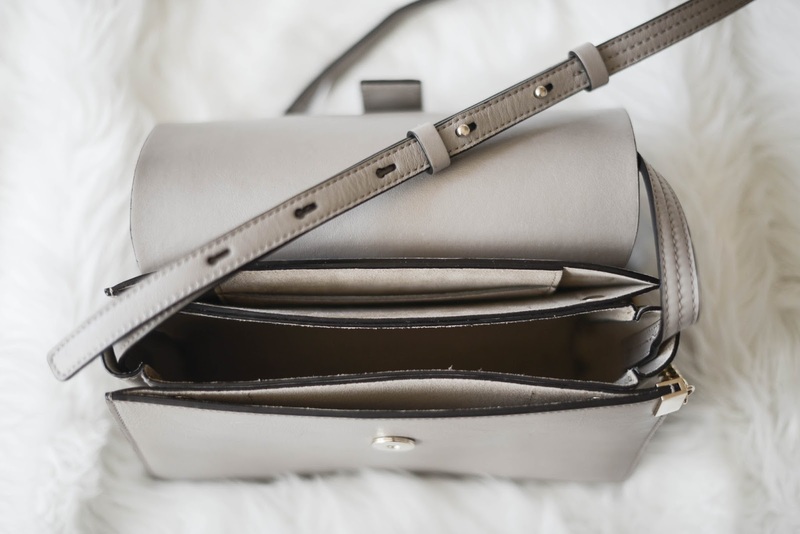 The compartments in the front and back also allow the bag to stand upright so the back doesn’t get so dirty and beat. 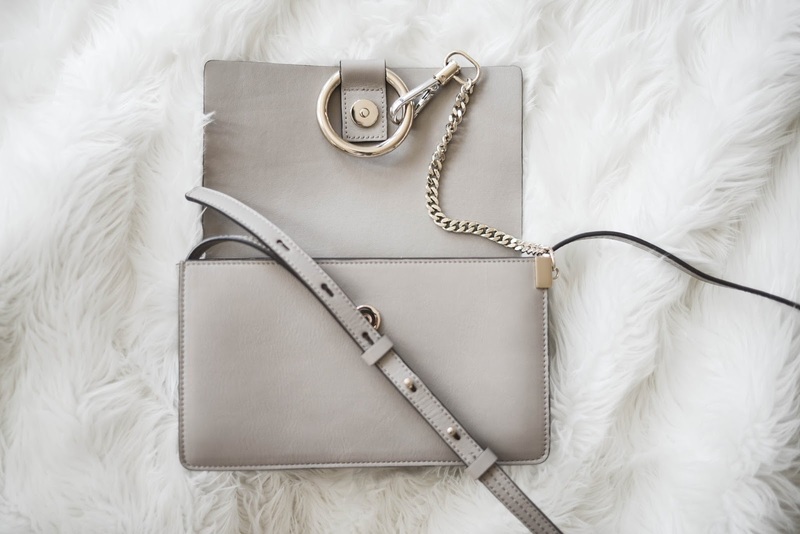 When considering this bag, I would suggest you keep in mind that the leather is extremely delicate and buttery; it will get scratched up really easily if you’re wearing it as a cross body over raw/dyed jeans. Since the bag is a light grey, and there is an extension of the suede to the back of the bag, it is possible that it will be easily discolored as well (trust me I’ve gotten a really blue looking one the first time I ordered mine). 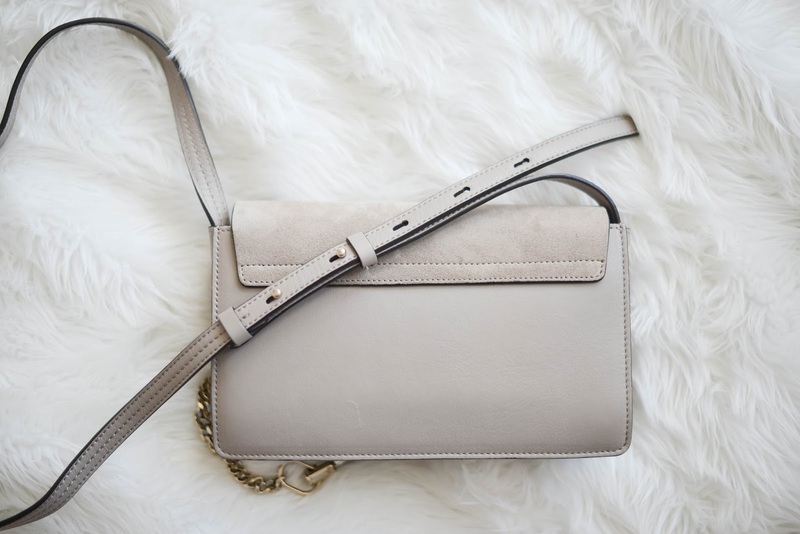 With this in mind, I generally love wearing the small Faye as a clutch rather than a cross-body since I think it’s the perfect size to go right under your arms! 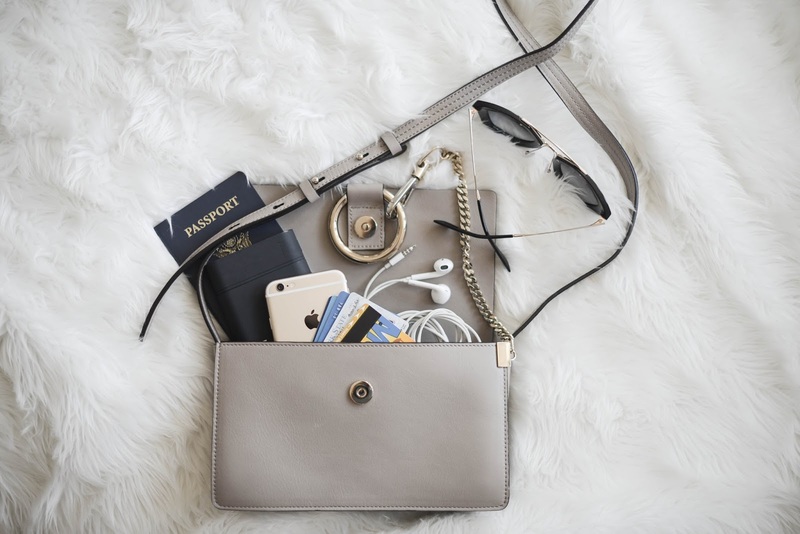 And to give you and idea of how roomy the inside of this bag is, I’ve also included a photo of what I generally carry in all of my cross-body bags. Passport (since I'm traveling), Limejuice mobile charger, cards and ID, headphones, USB cable, and Prada sunnies. While I do prefer this person, I also really like it's bigger version as well. 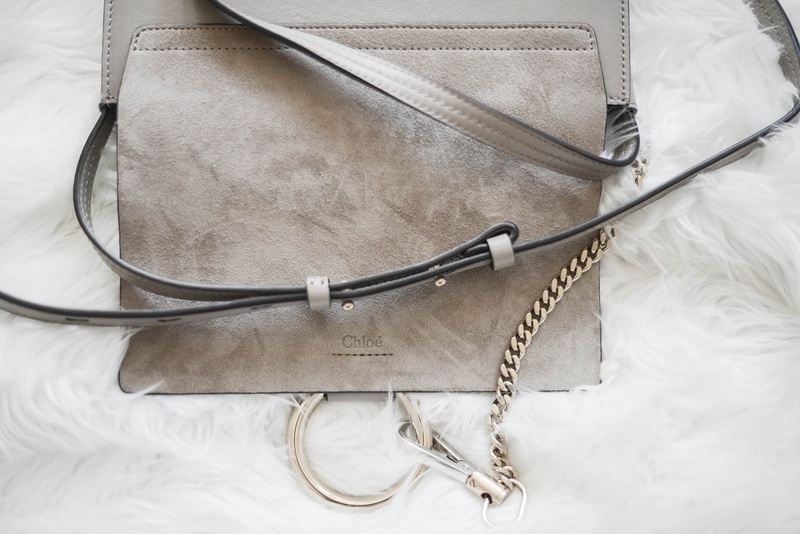 ---- Update: Chloe recently came out with a few new versions of this bag and even in wallet form. 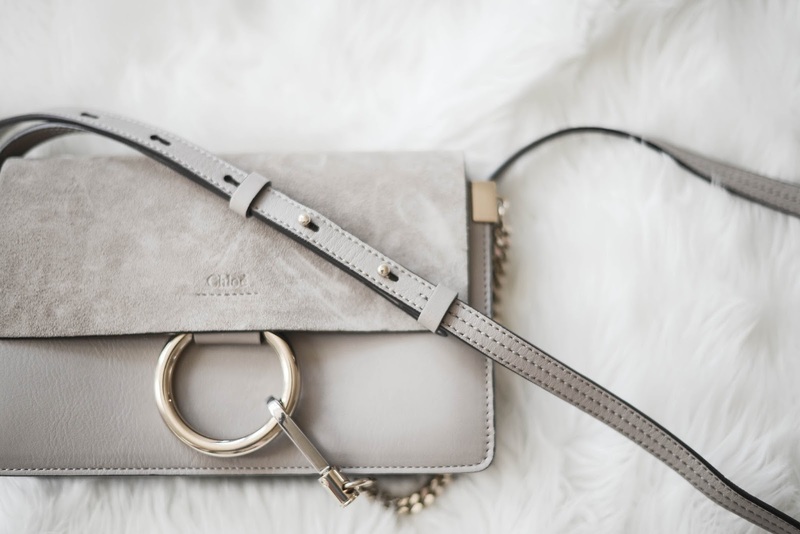 I think it's super cute and the price point is great to consider if you're in the market for this bag!